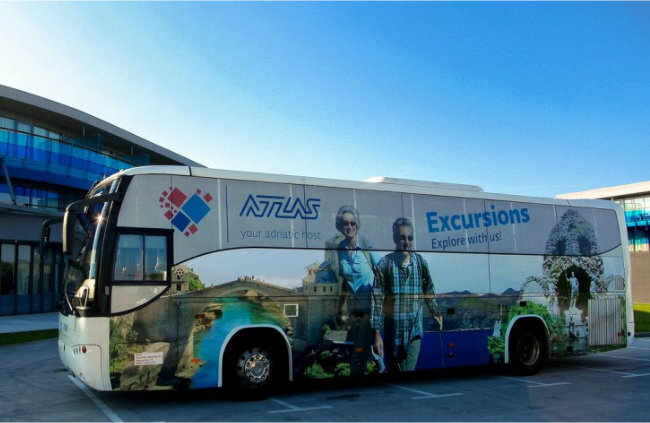 The Atlas shuttle bus which will bring you to the city after every flight. The price for a one way ticket is 40 kunas or approx. 6 € (the return ticket is costs 70 kunas or about 10 €). 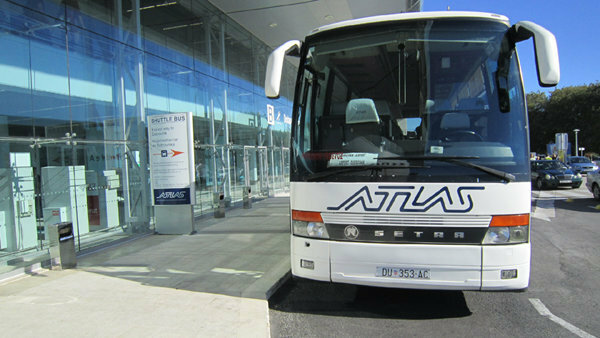 The Atlas bus meets scheduled flights and runs between the airport and the main bus station. Passengers can get off at the stop outside the main gate (Pile gate) to the old city on the way to the main bus station. It takes approximately 35-40 minutes to arrive at Dubrovnik City Bus station from the Airport. The bus station is located in Gruz port area where there are taxi ranks and local bus service operators. There is a local public bus transportation as well, which operates according the bus schedule. Local Bus station is in front of Domestic Arrivals. It costs 25-30 Croatian Kuna -4-5 euros . The problem with local buses is that most of them do not go directly to Dubrovnik - only some do - because they go only to Cavtat bus station. There are very frequent connections between Cavtat and Dubrovnik city by local bus (30 minutes) or by tourist boats (30 to 45 minutes). Bus tickets can be obtained from kiosks, in hotels, at travel agencies or on the bus itself. Public city transportation with the “Libertas” carrier. You can check the timetable to see when the busses operate (bus # 11, 27, 31 and 38). The prices are lower than those from the shuttle transfers , but the service is much slower since the public bus stops at every bus stop on its route.